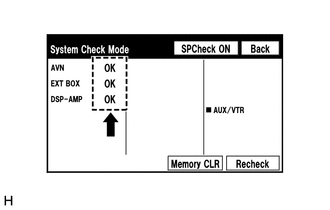 The navigation system outputs DTCs for the following system. 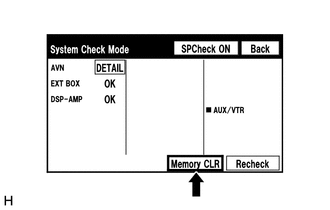 When DTCs other than those in Diagnostic Trouble Code Chart for the navigation system are output, refer to Diagnostic Trouble Code Chart for the relevant system. 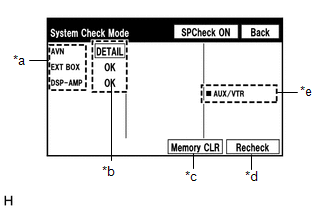 If the system cannot enter diagnostic mode, inspect all AVC-LAN communication components and repair or replace malfunctioning parts (for 13 Speakers) (See page ). 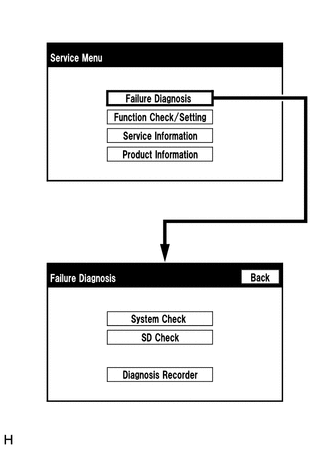 (a) The "Failure Diagnosis" screen will be displayed by selecting "Failure Diagnosis" on the "Service Menu" screen. 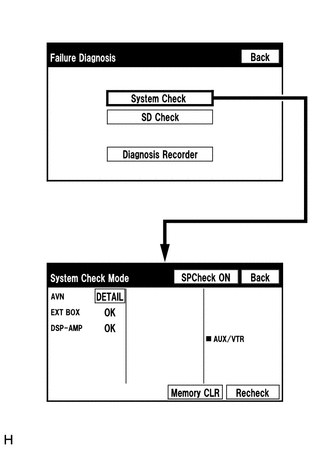 (a) The "System Check Mode" screen will be displayed by selecting "System Check" on the "Failure Diagnosis" screen. Select "Memory CLR" for 3 seconds. 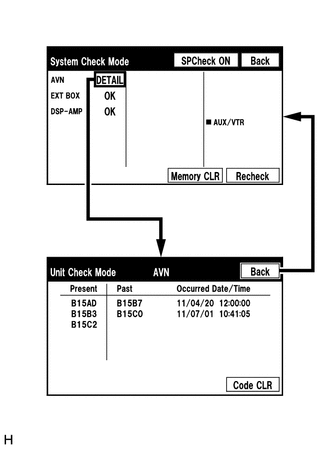 Read the DTC on the "Unit Check Mode" screen. 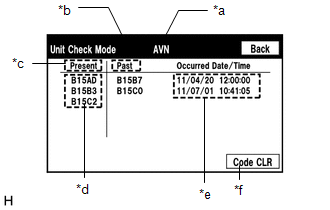 When "NCON" is displayed for all devices connected through the AVC-LAN, or when all device names are not displayed, check if there is a short in an AVC-LAN line or devices connected to the AVC-LAN. Repair or replace parts as necessary (for 13 Speakers) (See page ). To clear the DTCs for a specific device, use the "Unit Check Mode" screen.